Home / Unlabelled / 2023 PRESIDENCY: Fashola Can't Decide Fate of Ndi Igbo. 2023 PRESIDENCY: Fashola Can't Decide Fate of Ndi Igbo. Not minding the discordant tunes being played by the ruling All Progressives Congress (APC) and scheming regarding which geopolitical zone would produce the president in 2023, mainstream Ndigbo appear unperturbed. They insist they would decide their fate. In fact, a very reliable source at the apex Igbo socio cultural organisation, Ohanaeze Ndigbo, yesterday, confided in The Guardian that the body was not swayed by ongoing antics as it would soon meet to reveal the path the Igbo would thread regarding the forthcoming 2019 general elections and beyond. Last Thursday, Minister of Power, Works and Housing, Babatunde Raji Fashola, at a town hall meeting urged the people of South West to vote for President Muhammadu Buhari in the 2019 elections in order to guarantee a return of power to the region in 2023.This view runs contrary to that canvassed earlier in the year by the Secretary to Government of the Federation (SFG), Boss Mustapha, when he promised that the APC would ensure that Igbo produced the president in 2023 should they support the second term aspiration of Buhari. But in their separate reactions, leading lights in the South East insist that they were focused on the 2019 general elections, and on ensuring the restructuring of the country, just as they alleged that they have always been sidelined by the Buhari- led administration. “We don’t expect to benefit anything good from Buhari. If Fashola has made this call to the South West with all the cries that Ndigbo have raised so far, then we should come to terms with the fact that such is the thinking of the cabal. It did not start today and we don’t expect it to stop now,” a chieftain of Ohanaeze Ndigbo told The Guardian on ground of anonymity, yesterday. But the National Chairman of the United Progressives Party (UPP), Chief Chekwas Okorie, suggested the need for Ndigbo to convoke a general meeting on the issue, stressing that, even though there has been a general consensus that Igbo should be allowed to taste power at the centre, he does not expect it to happen without a struggle. Okorie said: “It is not done turn-by-turn as such. Fashola to my knowledge is using it as a campaign strategy to get the support of the South West for his party. While he was saying so for the South West, Ngige was also saying the same for the South East. Remember that the Secretary to the Government of the Federation (SGF), Boss Mustapha went to a function in Owerri, Imo State to promise that South East will be made to take over from Buhari in 2023 by the APC. The PDP has not told us anything about 2023. I think it is for Igbo to take the decision and decide on what to do between now and 2023. Former Secretary General of Ohanaeze Ndigbo, Dr. Joe Nworgu, who queried when Fashola and Ngige were made the spokespersons for the Yoruba and Igbo in the country, explained that the interest of the zone was how to go about 2019 and ensure the restructuring of the country.“Our focus is 2019 and restructuring. Whatever anybody is saying is just a ploy from the same table. Fashola spoke, Ngige spoke, but I want to know when they became spokespersons of the various zones where they come from. The Yoruba and the Igbo should work together to ensure that they achieve restructuring, and 2019 election is a referendum between those who want restructuring and those against restructuring. We have already known the feelings of the two leading political parties, and it is clear what they represent on the issue,” he said. Also, president Emeritus, Aka Ikenga, Chief Goddy Uwazuruike said: “It’s possible for South West to get the presidential ticket of APC in 2023. This is because APC is an amalgamation of North West and South West political lords. All the other zones are joiners. For record purposes, the APC was the brainchild of Dr. Ogbonnaya Onu, but at the crucial meeting where the substratum of the party was decided, he was excluded. South East political leaders in APC are mere hangers-on in the corridors of power. Former Minister of Information, Chief Tony Momoh, is of the view that whoever ever wants the Presidency must work hard for that to come to pass.He recalled that APC and President Buhari didn’t get up to 200, 000 votes out of the estimated nine million votes cast in the South East in 2015 because it calculated that PDP will win, while the South West supported the president. “To give the Presidency to any region depends on the support of the zone because power is not, and cannot be given on a platter of gold. Nobody is going to tell the Igbo to vote for APC because in the next general election, three political parties will be prominent in the South East- the APC, PDP and APGA. If the Igbo people decide to support PDP and APGA and the ruling party eventually retains power till 2023, it would be unthinkable to believe that the Presidency would be conceded to the Igbo at the expense of the Yoruba that gave their support.“For now, even if they support the former vice president (Atiku Abubakar) in next year’s election, that would still not guarantee the region getting the presidency in 2023. The onus is on them to decide whatever they want in the coming presidential election,” he said. The Publicity Secretary of APC in Lagos, Mr. Joe Igbokwe, has been a strong advocate of Igbo support for Buhari in 2019.According to him, this remains the only way the zone can brighten its chances of getting the Presidency in 2023.He warned that the zone would have itself to blame if it voted against the incumbent next year and lose the opportunity of producing the next president. The National Publicity Secretary of Afenifere, Mr. Yinka Odumakin, in his comment on the issue said, “The demand of South East and South West is that Nigeria must be restructured in 2019. Who cares where the president comes from in 2023 after we have restructured. The various sections of the country will be in productive mode to have time for such shenanigans. 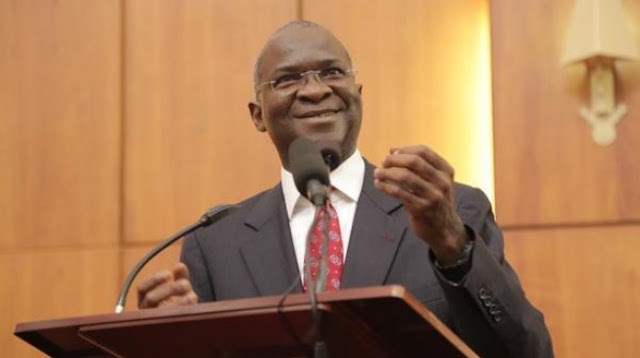 What would the Presidency do for the people of any section of Nigeria under the present structure than Fashola’s “achievement” in the power sector.